Roadside Assistance And Breakdown Services in Delhi and Jaipur ExpressWay.Mechanic on your way. Our new roadside saviours, Road-Mech is a 24-hour service that’ll help you out of any roadside bad situation. Sticky brakes, overheated car engines or flat tires, it’s Road-Mech to the rescue. Some things you may not know about Road-Mech24x7 Roadside Assistance Help when you need it, where you need it. Road-Mech 24x7 roadside assistance service providers just a call away. We offer and assure super-fast help by professional automobile mechanics reaching out to motorist members in case of a vehicle breakdown on road, anywhere in Delhi NCR ,Jaipur and India. We strive to be on the spot within 20-30 minutes with the solution ready team. Towing, onsite repair, locked or lost key, wrong or empty fuel, battery jump start or phone assistance are the roadside services we excel in. Just call the 21st Roadside Assistance Helpline at (+91) 9136208011 to take advantage of this great service. Getting stuck on the road happens to the best of us, and when it does, we send nothing but the best to get you un-stuck. Our roadside assistance crew love getting you out of your jam and back into your car - and are super fast at doing it. Hold tight. We're on our way. You’re never too far from help when you add Road-Mech24x7 Roadside Assist to your Road-Mech24x7. Road-Mech24x7 Roadside Assistance service is available 24/7, 365 days a year throughout the Delhi-NCR,Jaipur (NH8). 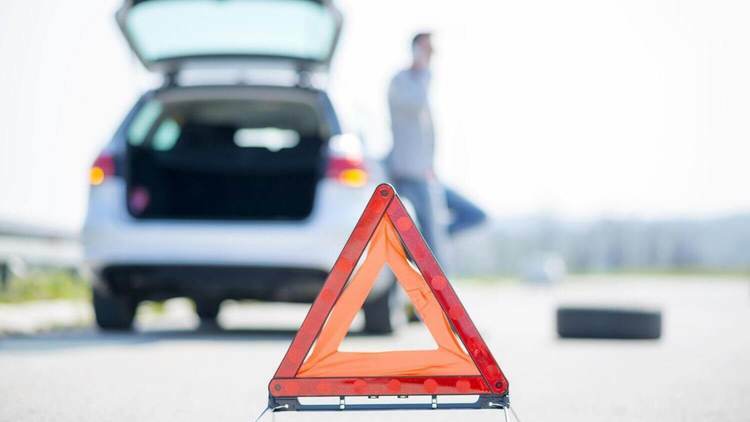 All vehicle owner come with Roadside Assist so whether you’ve locked your keys in your car, got a flat tyre, have a flat battery, run out of fuel or have just simply broken down, our friendly Roadside team will have you safely back on the road in no time. Get a jump start if your battery is flat or a replacement battery on the spot if required (cost of battery not included). If you get a flat battery, we’ll jump-start your vehicle; or, if necessary, replace the battery at your cost. We’ll change your tyre with your car's serviceable spare or tow your car to an approved tyre outlet / nearest place of safety. If you get a flat tyre, we’ll replace it with the spare tyre supplied with your vehicle. We can provide Lost or locked-in keys services to get your spare car key delivered. We’ll provide you with up to 5 to 10 Ltr. fuel to help get you to the closest petrol station. Drive an CNG car? We’ll tow you to the nearest station or place of safety. Roadside breakdown coverage are services that assist motorists, or bicyclists, whose vehicles have suffered a mechanical failure that leaves the operator stranded.Breakdown cover may include jump-starting an automobile, diagnosing and repairing the problem that caused the breakdown, towing a vehicle, helping to change a flat tire, providing a small amount of fuel when a vehicle runs out of it, pulling out a vehicle that is stuck in snow or helping people who are locked out of their cars. Mechanic on road is a vehicular support service offered by Road Mechanic 24x7 to individuals who experience a vehicular breakdown. The service typically provides benefits such as getting the vehicle fixed on the spot,refueling it, towing the vehicle to the nearest garage or a specific location, extending medical assistance and much more. Road Mechanic 24x7 offers the best road assistance for cars / four wheelers in Delhi-NCR,Delhi Jaipur Expressway NH-8 And jaipur. Road-Mech 24x7 is priceless when you need it. Nowadays, technology makes getting help just a push of a button away.Nowadays, technology makes getting help just a push of a button away. But sorting through all the different types of coverage plans can be confusing. Consumer Reports is here to help. Whether you've locked your keys in the car, gotten a flat tire, need to be towed or your battery died, most of the time you'll need roadside services to bail you out. So what kind should you get? Call to Road-Mech24x7,Mechanic on your way. For long distance travellers, we are providing towing miles, emergency fuel delivery and even emergency breakdown assistance. The Road-Mech24x7 high-end auto mechanic and restorer, who worked on Ferrari, Aston Martin, Rolls Royce and other luxury brands and took up watch repair to pass the time.